CONGRATULATIONS TO OUR BOYS U14 TEAM FINISHING IN FIRST PLACE AT THE 2018 CAPITAL CITY CLASSIC TOURNAMENT. 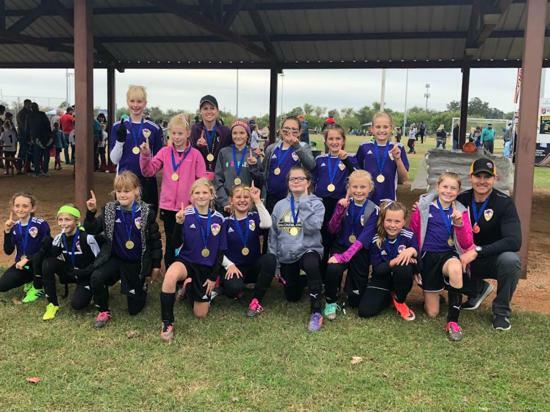 Our Liberty Hill Panthers D3 U11 Girls team won First place in the CAYSA Championship Tournament. They will advance to the Western District Championship. Do you want to know more about U8 Pool Training? Our U4 program is designated to introduce basic soccer skills to our younger players. Thank You to all our Spring 2018 Sponsors!!! We now have our own online store. Please follow the link to see our quality LHYSA custom apparel items. LHYSA uses RainedOut to notify subscribers about status of our fields. You can receive field status messages in your mobile or email. To subscribe just click on the RainedOut logo below and follow the directions. ©2019 Liberty Hill Youth Soccer Association / SportsEngine. All Rights Reserved.